The en-suite bathrooms have a bath and separate shower and a number of amenities have been included to enhance the comfort of your stay. Guests can enjoy DStv, free high speed WiFi per room daily, an electronic safe and in-room tea and coffee facilities among others. A number of our Standard Rooms have inter-leading doors to accommodate families with children. 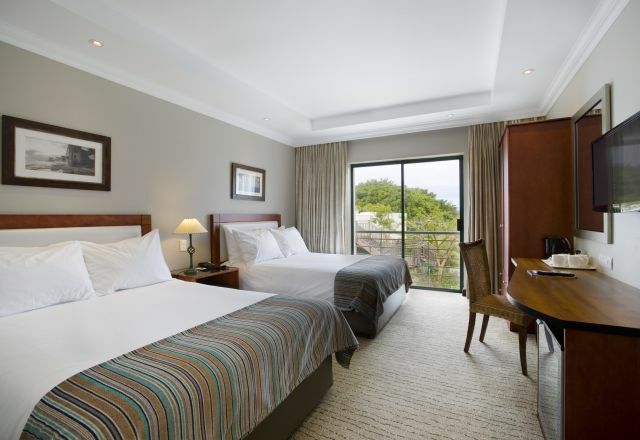 Standard Rooms at the Garden Court Mossel Bay hotel have one king bed or two double beds and en-suite bathroom with bath and shower. 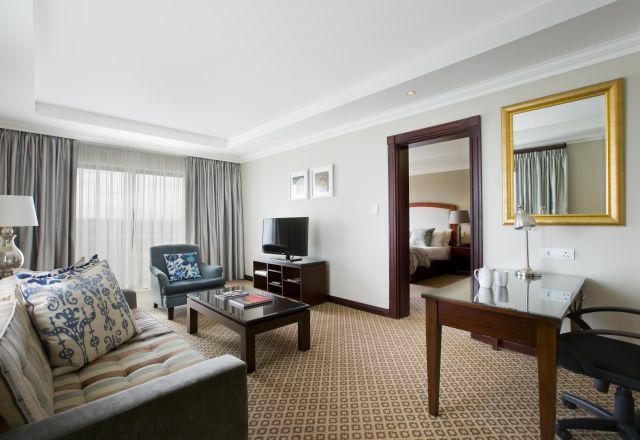 Our Presidential Suites are the most luxurious offering in our Mossel Bay accommodation.